It has been a while since i am trying to figure out the process of carefully choosing components for my 240's coilover setup. However i stumbled on a problem that seems to be nowhere explained, so thought of posting a thread about it. From what i have seen there are a few things to calculate before ordering parts to make sure you got the proper springs and strut inserts, so to define the length, spring weight, strut valving etc. 3) We also got old or new stiff struts (revalved or adjustable).. The question is: How to choose or better calculate which setting on our adjustable strut to use, or what kind of valving to order, so to match the spring rate properly ? Most people from what i have seen just install the whole system and "by feel" they say if it is over or under damped. But this can not just rely on feel. Not all of us are racing drivers so there should be a correct starting point. Of course it probably depends on what you are doing with your car, but still, there should be some limits that you should not cross and become over or under dumped !! That is what i am trying to figure out. We have springs 10 inch long on the front, 350 lbs/inch (=61.29 N/mm or 6.25 kg/mm), and 11 inch long on the rear 200 lbs/inch (=35.02 N/mm or 3.57 kg/mm). "I've spent a lot of time talking with the tech folks at Koni about their Sport shocks for the Volvo. They are MUCH stouter than the Bilstein HD's. The front struts offer 157/213 lbs. damping compression/rebound. The rebound is (3-way) adjustable - and the 213 is the minimum. They will adjust to 427 lbs. of rebound damping. The rears are MUCH more stout because of the motion ratio - the spring is 27" from the pivot point - the shock is only 22" away. Their rear shocks offer 259/494 lbs. 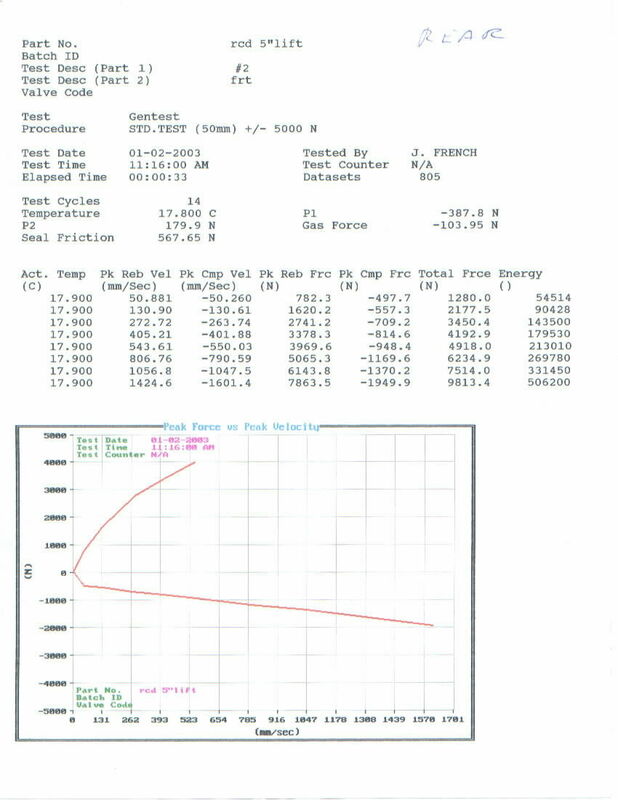 of damping in compression/rebound, and the rear rebound will adjust up to 990 lbs. of damping force." 1) Do the KONI's mentioned above fit the springs described ? Rear should be more difficult since they are offset positioned related to the axle. Sounds like a university exam, however i think solving this would help a lot of people ! John V knows all things Bilstein. Other than contacting Bilstein directly, he's probably the only person I'd contact regarding custom valved Bilstein, or just Bilstein in general. As for Koni, it's somewhat a shot in the dark. There's no real numbers that give an accurate representation of what they can and can't handle. I would assume a knowledgeable Koni rebuilder would have some sort of numbers to go off of, but who knows... I do run Koni Race shocks front and rear on 300lb fronts and 225lb rears. They are a little finicky on rebound, and it took a while to get them set up where they were as perfect as I could get them. I'm sure John can answer most all your questions as he enjoys a thorough post with numbers. Well, i just used KONIs because i found these (i assume true) numbers on DB's site to explain what i want to ask. Never mind though if it is KONI or any other stuff. We are just examining the numbers. If we have these numbers how to match them with the others.. it is more like a theoretical math question. Anyone is welcome to answer of course Especially people that can prove what they say !! Most of the crap on that site is assuming wrong units..making everything that follows from wrong units useless. Well, too big time difference from you guys !! Waiting for your answers John ! Here is a start from a very smart friend (many thanks to him!! ), including lots of maths. Unfortunately this will be probably not "compatible" to most of the people, since it is MIT stuff - don't be scared though have a look at least !! However it seems that this stuff suggest only a start, then trial and error procedures follow, especially for racing conditions, as he told me. Still waiting though for any other more easily digestible answers or techniques to help the majority of people reading this thread !! John V tries to call Pekka Siltanen for shock advices? The numbers in your first post about the Koni dampers are useless. You can't just assume those values are at some measurement speed without actually knowing. I guess since you have chosen a fairly stiff spring for a 240, you want a pretty sporty vehicle behavior. You should aim for at least 70% critical damping on the low speed measurement points, but since you don't have any values for your dampers, this is pointless to talk about. With no values, what is the purpose of starting a discussion like this? Tuning by feel is the best (only) solution in this case. I see what your point is. However, ok, if someone has a speed vs force curve, he would start at a certain combination, as a starting config IMO. How someone uses a car also dictates the config. But how does he match a spring with a strut ? He buys 10 struts and 10 springs and starts to try finding the right combo ? I think there should be some basics for matching. We are looking for the starting point ! Last edited by aristg; 07-26-2017 at 02:25 PM..
You should state your job and basic credentials so those that don't know you actually might listen. You don't post here a lot for everyone to know you. Just sayin. Look forward to reading your input here. IMO Suspension is a very hard to understand subject, especially if designed from the scratch as a 240 coilover suspension. The purpose of this thread is to find someone to explain the basics of it and THEN tune it by feel or trial and error. This is why i am trying to set a -imaginary or real- case to work on. Does not matter if the shock is KONI or Bilstein or a pogo stick, i am looking after some way to match parts as a starting point. Highest levels of experience and education are most welcome here of course, but the target of the thread is something that could be followed by all people. We already have an approach by MIT based on pure maths, for under over and critical damping. But this is not for everyone. And even if someone understands the maths, may not be able to translate it into real life. These three sources suggest a methodology or a logical starting point. From there on ok, its personal preference. Well I'm not going to go through all the data input work for you, but I'll give you the info you need to check for yourself. But you should pick your springs based on what type of car you want it to be, comfortable, sporty, or just really super stiff. Once you pick your front spring you can go about the rear spring and then tuning the anti-roll bars to get the limit handling behavior of the car to be predictable and not too understeered. It's not that difficult of a subject actually, you just need to read a book and know how to use Excel and you can do all this stuff easily. Just because there is a link with MIT in the URL doesn't mean that the average person will be unable to understand the subject matter. You can find that same information on Wikipedia. You can either do this using the basic math defined in the links I'll give below to calculate the critical damping ratio, or you can do it purely subjectively. There really isn't a third method to do it that would be worth anyone's time. 1. Let's say your 240 weighs 1500kg. Then you need to know your corner weights, so let's just assume the weight is even on the four wheels. If you have access to corner weights this will give you much better numbers to use. 2. Then you need to know your unsprung mass. So this will depend a lot on what wheels/tires and brakes you have on the car. Let's go ahead and assume 40kg per corner. 3. Then you need to know the motion ratio of your spring. If we just focus on the front, the spring and damper have the same motion ratio, and we can assume that is around 1.05ish. You'll have to measure this for the rear. 4. So pick a ride frequency you want, 1.3-1.4Hz for a comfortable road car, 1.4-1.6Hz for a decently sporty car, or more than that for racecars. To really do this correctly you also need to know the parasitic stiffness from your bushings (unless you are only using frictionless spherical bearings ). That can be up to 10N/mm wheel rate depending on your bushings and how old they are and that kind of stuff, which can be like 10-30% of your overall spring rate. For this we'll just ignore it, just know that this is incorrect. 6. Now calculate the damping ratio. 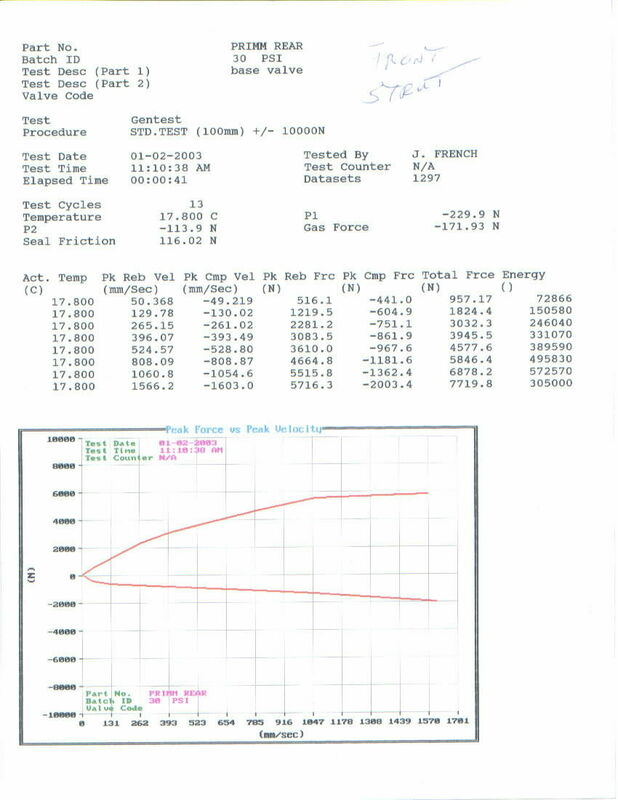 So your damping ratio is 1.08 for the first rebound measurement point, or 108% (overdamped). 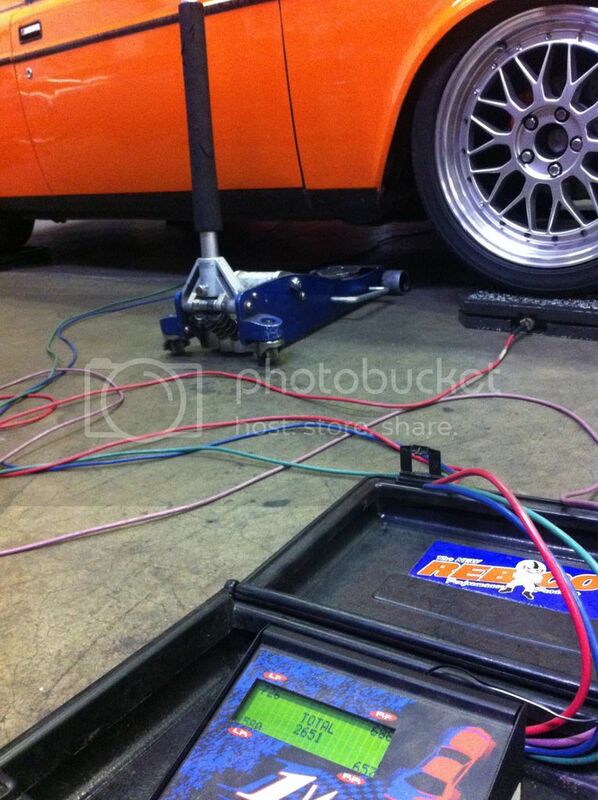 Now do the same thing for the compression, and for the rest of the measurement points, both for front and rear axles. Can the dampers handle the springs? Yes. Are they ideal? No, but they'll sure feel sporty. Well, THAT'S a PROPER answer !! Thanks man !! Very impressed !! I will try to make a study on my car based on your answer, eventually put an excel file together, and report back here ! Yay Will have to do some serious calculations before ordering !! That's going to take me several reads to process. Aristg, have you weighed your car at all yet? This is the corner weights on my orange 242DL+TI if you want to play with some numbers. The side to side numbers are pretty good, the front to back needs some work and part of the reason I'm always telling everyone to drop the rear and raise the front. I have an App for moving weight around on our race kart and adjusting/changing the balance (we are constantly adjusting the kart all day at every different track). It works pretty good for a quick easy to use tool. App was free, not sure if it still is or not. It's called "KartBalance". I plugged the 242 weights into it just so it's easy to see the percentages. Now that i got a starting point, i will take all the measurements described in Poik's reply, as well as current (non coilover) springs that i have which are supposed to be 30% stiffer than stock, and also take my shocks to a dyno. Hopefully i will have some results to post in the following weeks, and use these (real) values to design my new coilover suspension, based on Ben's hardware. By the way, is 50-50 an ideal weight distribution for this car ? Note this is a 240 not a 242 .. Of course this is something that can be changed a bit with coilovers ..
50-50 is a decent compromise. 50 to 55% front is probably a bit better (safer behavior) for a street car, and 45 to 50% front is better for performance (better RWD acceleration, better braking, but not as easy to control). Center of gravity and where it's positioned front to rear matters also when trying to balance a car/truck/kart. It's not as simple as x% to x% unfortunately. 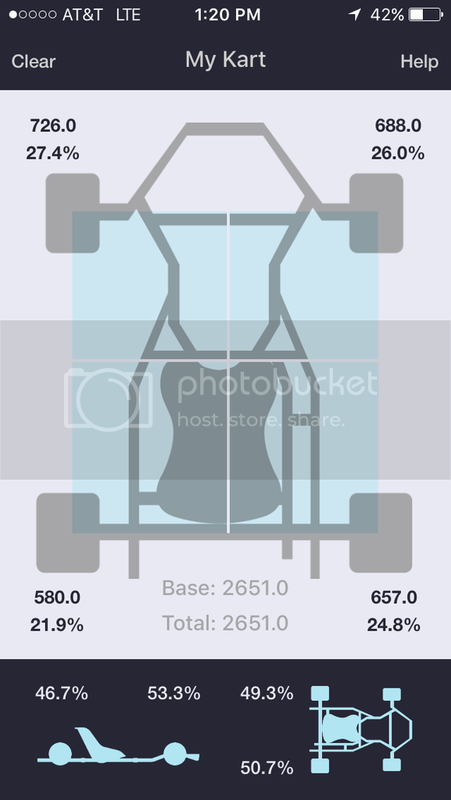 In karts we run close to 40% front, 60% rear. Changing the seat position and driver height effects the handling a lot. Low grip tracks (rain also) we run more upright to get the weight of the driver to make the tires bite. On high grip tracks we lower the driver to free up the kart from being too gripped up. Often worth 2-3 tenths from one to the other. In a field that is separated by 5 tenths from 1st to 15th, that's a big deal. Yeah of course the height matters as well, but in general terms for a car those should hold true . For a kart it's more tuning around the compromise of not having a differential. If you are raising the center of gravity to make a car better, then there is a compromise (differential, ground clearance, bad suspension geometry, etc). Except gravel/sand, because gravel is weird and doesn't act like asphalt. I agree, but Aris seems to like to know the variables, so I thought I'd point it out. Karts are different, but it's a lot of the same theories just applied slightly different. We want our back inside tire to lift in tight turns, that's our version of LSD.